The borough of Queens has many large malls and strip mall areas. There is also plenty of shopping along the main commercial thoroughfares. Here are a few of the biggest and best places to shop in Queens, New York. The Queens Center Mall in Elmhurst is the biggest mall in Queens, New York, and is one of the most successful malls in the nation. In 2004, remodeling more than doubled the number of stores at Queens Center. Main stores include Bath and Body, Foot Locker, Gap, Baby Gap, Gap Kids, JCPenny, Macy's, Modell's, 9 West, Victoria's Secret, Sam Goody, Aeropostale, and more. The mall has two sizeable indoor parking lots ($3 for the first hour) as well as outdoor lots adjacent to the mall. You may get lucky and find street parking, but don't count on it. The Queens Place Mall in Elmhurst is the much smaller cousin of the Queens Center Mall, just a long block away on Queens Boulevard. This mall includes large stores such as Best Buy, Target, Rockaway Bedding, and an Outback Steakhouse. It shares parking facilities with Queens Center Mall. Atlas Park Mall is the latest addition to shopping centers in Queens, and one of the best. The Shops at Atlas Park in Glendale has an outdoor "village square" layout. In Bayside, the Bay Terrace Mall is an outdoor strip mall, and small compared to the Queens Center Mall. It is convenient to the Cross Island Expressway. Though the parking lot can get congested, overall the shopping is above average. It has a vast assortment of stores, including Gap, Ann Taylor, Waldbaums, Barnes and Noble, Bath and Body Works, Stride Rite, Victoria's Secret, Foot Locker, Claire's, Parade of Shoes, Chico's, Kay Bee Toys, Lane Bryant, Men's Warehouse, Motherhood Maternity, Peter Pan Games, Kinko's, and many more. There's also a movie theater. There is a large, free parking lot at the Mall's lower level and a smaller lot above on 26th Avenue. 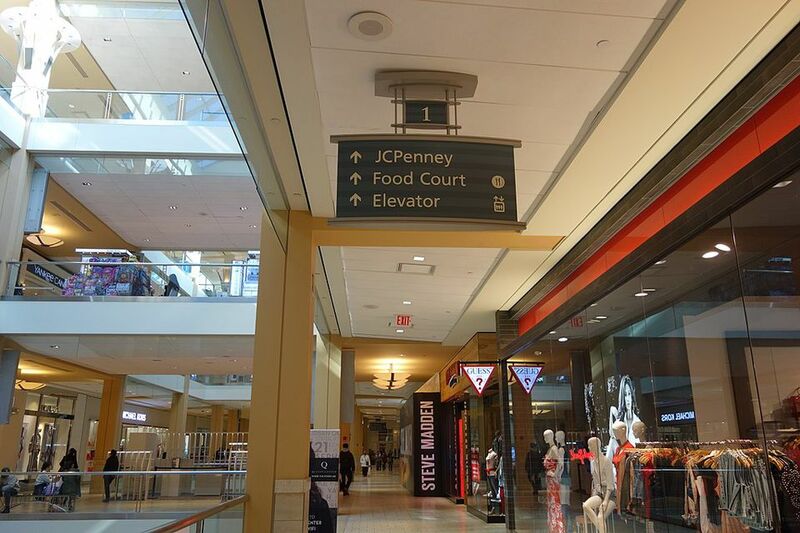 You will need to walk down a staircase to reach the main shopping area from the small lot. This indoor mall in downtown Flushing, Queens, has lots of small shops, carrying everything from fashion and jewelry to art, toys, and cell phones. Plus, there's a varied Asian food court and the offices of a couple of community organizations. There are bargains to be found at the Flushing Mall, though the real appeal of the mall is convenience. With so many retailers in one location, it is easy to shop for small gifts and get a lot done in a short time. Although people from all over come to the mall, the primary clientele is locals, especially Chinese, and the mall caters to their tastes and needs. The back area of the mall suffers from less business and a noxious second entrance. Parking is available on the street, in a private lot across from the mall on 39th Avenue, and in a public lot on Prince Street. Over in Middle Village, the Metro Mall can sometimes feel like the cemetery it faces, but it gets busy with easy subway access from the M line and bargain hunters stocking up at BJ's Wholesale Club. An odd layout contributes to an awkward shopping experience. There are no food and drinks offerings or movies at this mall. On a hillside overlooking the Cross Island Parkway, the Douglaston Mall is a small, outdoor mall, anchored by Macy's. This place was built for the car, and it's awkward to walk between stores. The best thing is the very easy access to the Long Island Expressway.